home Entertainment Conor McGregor Retired in 2016 Only To Return 4 Months Later and Fight Nate Diaz; Is He Playing Games Again or Retired For Good This Time? 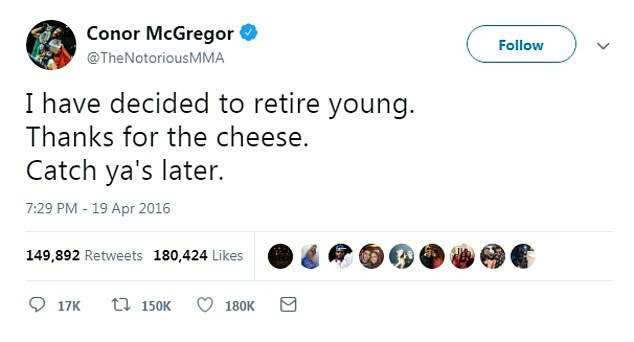 Conor McGregor retired for real this time? Conor McGregor previously decided to retire from UFC only to continue with his fighting career as early as a month later. 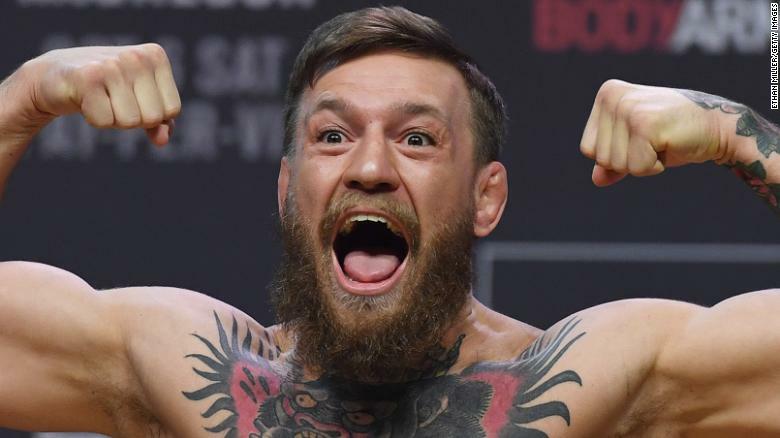 McGregor, the famous Irish mixed martial artist announced his latest retirement from the sport on Tuesday morning 26th March 2019. As a matter of fact, the UFC fighter did the same back in 2016. His sudden decision has made the fans question the actual duration he will keep off the ring as he had returned to UFC after enjoying a couple of months off. The announcement of his first retirement made its way to the public after the 30-year-old signed a deal for a rematch with Nate Diaz, who triumphed over McGregor. 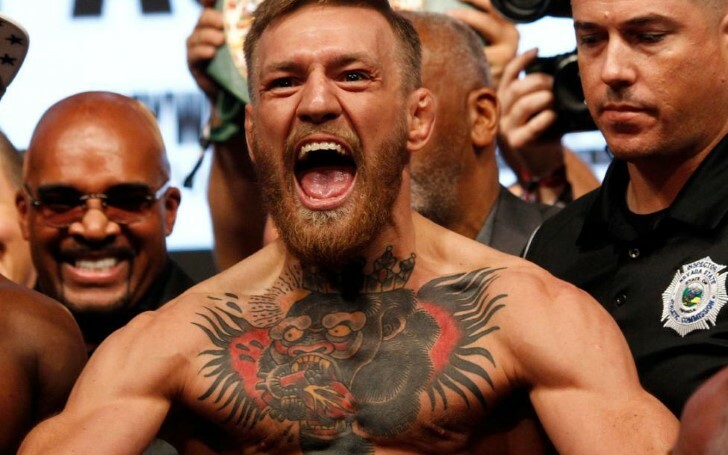 In fact, the defeat marked Conor's first defeat ever. Diaz beat the Irishman in the second round with a submission. McGregor had wanted a rematch but his announcement led to him being pulled from a fight that had been scheduled for Las Vegas back in 2016. Diaz mocked McGregor at the time through a statement that suggested his retirement as well. "I guess my work here is done. I'm retiring too." However, McGregor and Diaz did actually get time together in the fighting ring later in August 2016. In fact, the phenomenal rematch resulted in a victory for the Irishman. The news of the martial artist's retirement decision on Tuesday sure faced some skepticism but UFC president, Dana White stood alongside McGregor supporting his move. "He has the money to retire and his whiskey is KILLIN it. It totally makes sense and if I was him I would retire too." "He's retiring from fighting. Not from working. The whiskey will keep him busy and I'm sure he has other things he's working on. He has been so fun to watch! He has accomplished incredible things in this sport." The retirement move of the sportsman is also speculated to be a move to divert the attention from a sexual assault charge he is facing. An Irish woman accused him of sexual assault back in December 2018. The fighter allegedly assaulted the woman at the Beacon Hotel in Dublin. However, the allegations have not been proved yet. While McGregor seems serious about his retirement this time around, fans are still not ready to part ways with their favorite UFC fighter.